AVO’s return on assets, return on equity, profit margin, and revenue growth are all at least twice as high as the industry average. Its forward P/E ratio is only 13 times, which is quite attractive for a company that’s growing its sales at over 50% a year. 🙂 Unlike some other tech companies AVO is actually profitable so investors don’t have to wait to realize additional company value. The risk is if the rest of the stock market continues to fall then AVO will likely be dragged down with it. We’ll just have to see what happens. Pandas are the least racist animal because they’re white, and black, AND they’re Asian. AVO up more than 8% today. Great news for you 😀 . I am not watch this stock as it is a high tech stock, and not a dividend payer. My advise would be stick with high quality stocks and collect dividends without worrying about market swings. And so far it is up another 3% today! 🙂 Good point about playing it safe with dividend stocks. I am doing the same with the majority of my stock holdings. Great idea AG 🙂 I’ll look into that to control my risk exposure. I just fond your site from the comment you left on mine. I love it, I must have red 50 of your post today 🙂 Keep up the good work. For your AVO move, I’m an index ETF guy but averaging down is good if believe in the stock. At 14,60$ a share, it has a PE ratio of 24.37. You can get VCN.TO for a PE of around 20. Do you have a reason to believe their earnings will increase a lot in the future ? Thanks for dropping by 🙂 Yes the trailing PE ratio is high for AVO compared to VCN. But the Forward PE ratio for AVO is currently 14, which is still higher than VCN’s forward PE ratio, but it’s not as bad. AVO’s quarterly revenue growth (year over year) is 66%. But whether that can translate into growth for the bottom line is another question haha. It’s hard to value tech stocks because they don’t conform to regular fundamental guidelines. Good job on averaging down. Looks like their latest quarterly results disappointed quite a bit, hence for the drop. Will keep an eye on this stock. Yup, those traders are pretty skeptical sometimes. 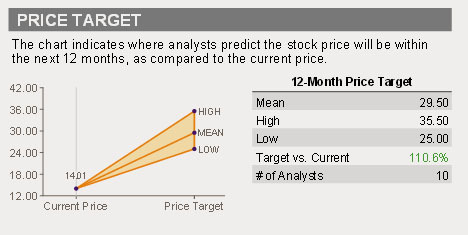 Analysts releases target numbers and if a company misses them then it gets beaten down lol. Great job averaging down on AVO! At how much of a drop do you consider averaging down a good idea? 10-20-30-40%? I’m wondering because I have some positions that are also down quite a lot since I’ve bought them. Thanks man. I figure I’d try something new for a Halloween theme. I miss the good old days when I went trick-or-treating 🙂 I consider 20% a good time to average down. But what that means is the stock would need to actually fall by 25% because I don’t want to catch a falling knife. So I wait for the stock to bottom out before accumulating more. Once it goes from -25% back up to -20% I would enter in another order. Sorry for the late post… I did the same, and still believe in the companies mid to long-term. I think we have a bit more volatility to come as people react to next months statements and try and jockey for the next phase of the market (sideways for a I while I think…), so I too loaded up on a few “bargains” that presented themselves… Glad I bought my car in July with up stock money from the last 2 years 🙂 Again the thing to learn here is the market always flows on waves… When the wave seems up, start paying debt, to free up LOC’s to catch the next trough… Cheers. Glad I’m not the only one who purchased more 🙂 Makes me feel more confident about my decision. Its under $13 now!! what are you thinking buy more to dollar cost average or hold or sell? I’m planning to hold for now. $13 is not much lower from my last purchase point. If it drops to $11 then I might pick up some more. I don’t see anything wrong with the company. Profits are still growing, just not growing as quickly as before. AVO is now down to $9.48, are you buying more? Not right now. I don’t see a catalyst for share appreciation and I don’t like the CEO’s style. I will continue to hold my position for now. The company made a lot of money providing products and services for the Rio Olympics, but its future growth is not certain.